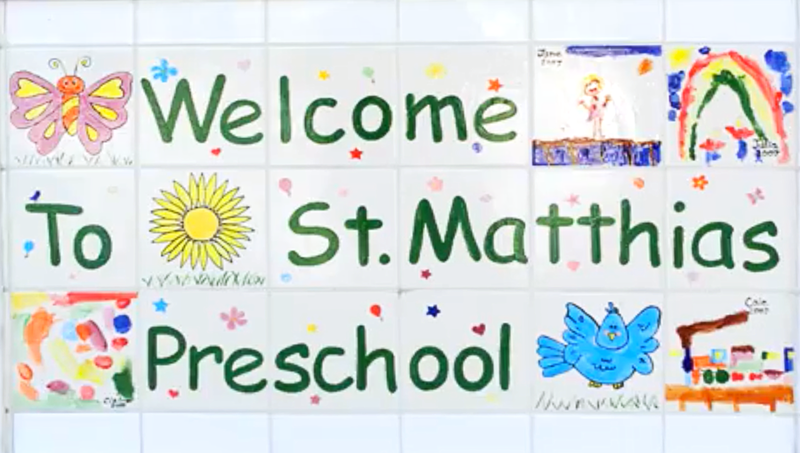 Location: The St. Matthias Preschool is located at St. Matthias Catholic Church. Mailing address is 533 Canyon Road, Redwood City, CA 94062. Contact: Kim Nave, Our Preschool Director, for more information. St. Matthias Preschool phone number is 650-367-1320. St. Matthias Preschool celebrates it’s 40th anniversary in 2017. We are licensed for children ages 2.6 to 5 years of age and is located in the parish school building which features large classrooms, a dining facility, child -sized bathrooms, meeting rooms and an office area. St. Matthias Preschool cares for children regardless of race, color or creed. A Catholic Christian environment is fostered at the Preschool which respects the individuality of children. We respect each child, recognize the importance of families and the role parents play in their child’s educational experience. 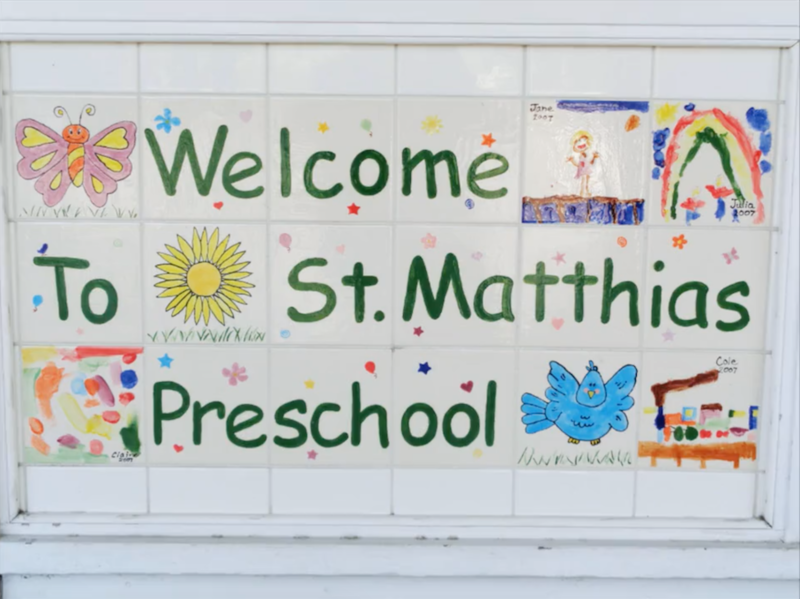 St. Matthias Preschool is licensed for 90 children between the ages of 2½ through 5. It is located in the St. Matthias Parish School Building, which features large classrooms, a dining facility, child-sized bathrooms, meeting rooms, and an office area. The outside play area offers a large climbing structure with slides, swings, a sandbox, a bike path, game area, synthetic lawn, and more. The Preschool offers a curriculum which enhances play, social/emotional learning with academics and incorporating Christian values. In our “home away from home” environment, children are provided a place to grow, learn, and play. The children are placed in groups by age and development level. There are daily planned and free choice opportunities available for children to explore and experiment. St. Matthias Preschool is licensed by the Department of Social Services and follows their guidelines. Facility #410502005.